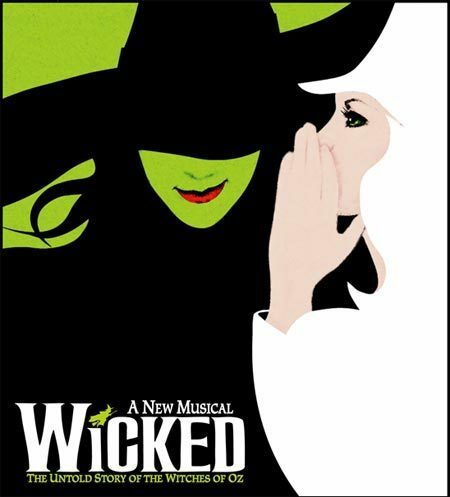 If you don't know the premise, the musical is a prequel to the Wizard of Oz. 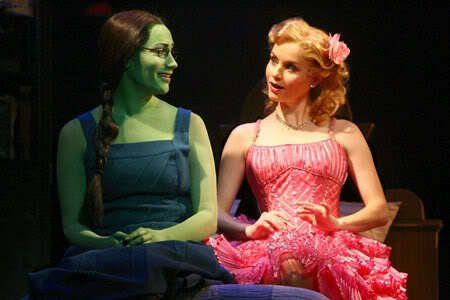 In the story, Glenda the Good Witch and the Wicked Witch of the West (WWW) were buddies as school girls. Then, chaos ensued and moral dilemmas sent the two on very different paths. In this tale, Glenda was actually kind of awful and WWW was just misunderstood. It was very interesting and more creative than anything I've maybe every seen. Loved every single second. Costumes, makeup, staging, dancing....all of it was totally faboo. The writing and cleverness was probably the best part to me though. If you haven't, go see it. Holy S#!&... I love this musical. I've seen it twice already and I could go back 1,234,567,896,261 more times! Isn't it amazing! Have you read the book? OMG i'm so jealous i still need to go see it!